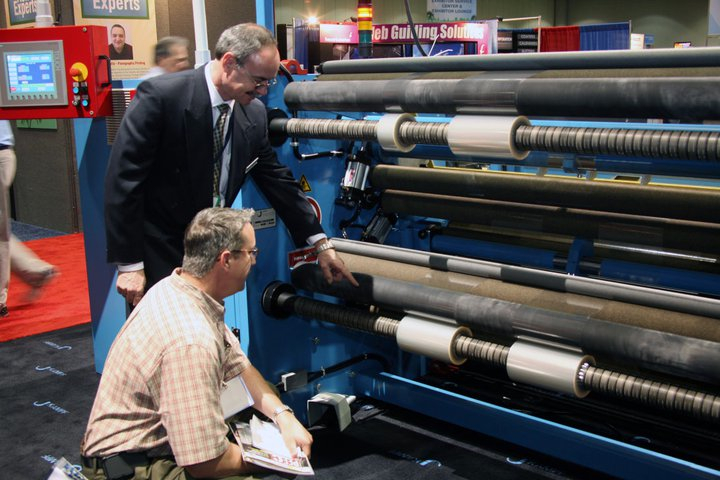 Meeting with exhibitors and viewing new equipment is a key reason to attend ICE USA. With only a few weeks left until ICE USA 2013, we are happy to report that more than 300 converting industry suppliers from around the world have already reserved space for next month’s event, April 9-11, in Orlando. With attendee registration running at twice the level of the biennial ICE USA 2011 and over 300 exhibitors, including 100 first-time exhibiting companies, the size of this year’s Show has already surpassed last year’s by 33%. As the largest dedicated converting event in North America, ICE USA is a machinery-led event with more than one-third of the exhibitors featuring running machinery and providing live demonstrations. In addition to the various converting equipment on display, attendees will also able to experience the wealth of web inspection equipment that will be shown. We believe this could be the largest collection of web-inspection companies exhibiting in the USA in many years. Several web-inspection companies are also presenting educational sessions. With a record number of exhibitors and attendee registration running well ahead of 2011 – we are expecting a great Show! To learn more about ICE USA 2013, or register to attend, visit www.ice-x-usa.com. You can also watch a cool video on ‘What’s Happening at ICE USA 2013’.